Welcome to the new and improved Ranch at Death Valley. 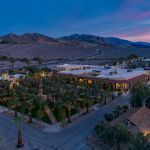 The 224-room hotel has been part of a $100 million renaissance and is the energetic center of activity in Death Valley. 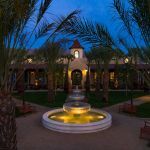 Set along Highway 190 next to the National Park Service Visitor Center, you can enjoy a classic town square with towering date palms and mission California architecture. 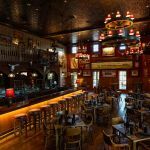 You’ll find a new restaurant, ice cream and coffee bar, general store with souvenirs as well as groceries, and you can have drinks and dinner in the must-see Last Kind Words Saloon – straight out of a western movie. 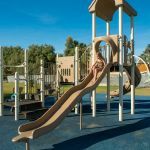 This former working ranch has been transformed into the family-friendly heartbeat of The Oasis at Death Valley and the perfect home base for exploring the largest national park in the lower 48 states – Death Valley National Park. 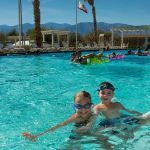 Offering a classic mid-century feel, guest rooms are adjacent to the Furnace Creek Golf Course on sprawling lawns with easy access to the ever-refreshing 87-degree spring-fed pool, sports courts and children’s playground. Many rooms open onto patios, while others have balconies overlooking the grounds. 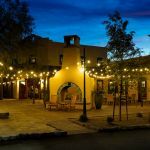 Plus, The Ranch offers horseback and carriage rides at our stables, Jeep rentals to explore the park in a rugged 4×4, and full 18-hole golf course – the lowest elevation course in North America. Whether you’re an international traveler making a once-in-a-lifetime trip to America’s national parks, a group of friends driving classic cars through the park’s scenic byways meeting up to have fun, a group of photographers needing a base camp to return to after shooting the park’s charismatic splendors, or simply a couple looking to enjoy mother nature’s majesty in comfort, it’s time to discover The Ranch at Death Valley – the heart of this special place. 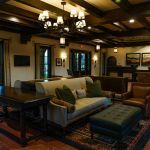 Travel in April and kids eat breakfast and dinner for free at the new 1849 Buffet at the Ranch. Take a Spring Break getaway at a great value and experience your national park! We look forward to hosting you soon and cannot wait for you to witness the incredible property and park we call home. Standard rooms are located in four, two-story buildings. All rooms have French doors leading to small patios or balconies. 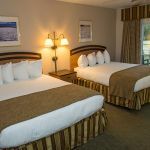 All units have two queen beds, air conditioning, hair dryers, in-room coffee makers, TV, phone, full private bath and mini-refrigerators. Roll-a-ways are permitted in these rooms. All Standard rooms are non-smoking. Deluxe rooms are located in two, single-story buildings. Rooms have French doors leading to small patios adjacent to our park/pool area. Most rooms offer two queen beds and a limited number have one king bed. 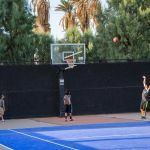 Each unit offers air conditioning, hair dryers, in-room coffee makers, TV, phone, full private bath and mini refrigerator. Some units are fully handicapped accessible. All Deluxe rooms are non-smoking. Rooms with roll in showers and pool access are available. Cabin units are located in single story duplex buildings and are near the registration/reception building. 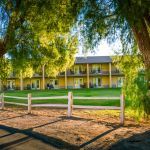 All units have either two double beds or one queen size bed, air conditioning, hair dryers, in-room coffee makers, mini-refrigerators, TV, phone and 3/4 private bath (shower only, no tub). Roll-a-ways are not available in these units. All cabin units are non-smoking. 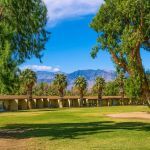 The Fiddlers Campground adjacent to the Furnace Creek Golf Course also offers campsites for RVs and tent camping. The National Park Service offers three campgrounds surrounding The Ranch at Furnace Creek – located on the East side of Highway 190 are the Sunset and Texas Springs dry campgrounds and the Furnace Creek campground (with a few hook-ups) is located behind the Visitor Center on the West side. For information, call (877) 444-6777. The origin of The Oasis at Death Valley can be traced back to the discovery of borax by Aaron and Rose Winter, and the subsequent purchase of their claims by William T. Coleman in the early 1880s. The need for a supply point to provide the “20 mule teams” that pulled the borax wagons, and the workmen from the borax mine, led to the development of The Ranch at Death Valley on property that had been homesteaded in the 1870s. As the borax mines became more profitable, the Pacific Coast Borax Company built the Death Valley Railroad that carried borax from the mines to Death Valley Junction. Over the years, the mines inside Death Valley National Park closed, and the borax mining and operations were moved from the Death Valley region to the Boron, California mine in 1927. 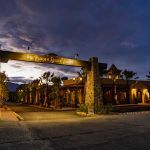 The Ranch hotel first opened its doors for business in 1933, the same year President Hoover signed a proclamation creating Death Valley National Monument. The balance of the cabins were built from 1935 to 1939, with the lobby, store, and dining room constructed in 1934-35, and swimming pool in 1952. Your deposit guarantees the first night’s room rate. Any increases to the room rate after your reservation is confirmed will apply to all additional room nights. Any modifications to your reservations may result in the entire stay being subject to the new applicable rate. Unless otherwise noted, the rates apply per room, per night, based on double occupancy. Rates may vary during holidays and blackout periods. Additional Adults are $20.00 per person, per night. Rates do not include 12% room tax. Taxes and surcharges are subject to change. All room rates are subject to applicable taxes and/or surcharges. Rates are stated in US dollars. We are currently accepting reservations for stays up to 13 months in advance. On the first of each month, we will begin accepting reservations for the entire month of the following year. For example, on October 1, 2018, we will accept reservations through October 31, 2019. Advance reservations are strongly recommended. We regret that we cannot offer a waitlist for accommodations. Reservations for individuals may be made for up to nine rooms. 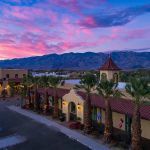 Ten or more rooms for the same stay is considered a Group, and these requests may be submitted to The Oasis at Death Valley Group Sales office 760-786-3354. Read more information about Groups. When sending any correspondence via fax or email, please be sure to include complete information concerning your request, including name, billing address, phone number, email address (or fax number) to expedite a response. 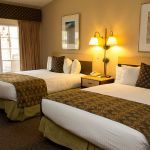 In order to reserve a room, a deposit equal to the first night of your stay (plus tax) is required on each room within seven days of making the reservation. If arriving within 14 days, a credit card deposit is required to make a reservation. 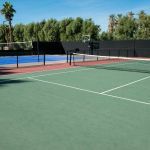 You may use a Discover, JCB, American Express, Carte Blanche, Diners Club, MasterCard or Visa and we will charge your credit card upon completion of the reservation. The deposit will guarantee your room reservation for an arrival beyond 4:00 p.m. Please note, the deposit will guarantee the reservation and the first night’s room rate only. Any increases to the room rate after your reservation is confirmed will apply to all additional room nights. Any modifications to your reservation(s) may result in the entire stay being subject to the new applicable rate. Reservations may be modified or canceled up to 48 hours (2 days) prior to your arrival; after that date, the deposit is non-refundable. Modify or cancel an existing reservation. If your plans change, you may receive a full refund of the deposit provided you cancel the reservation and obtain a cancellation number at least two days prior to the designated check-in time and arrival date. If making a reservation within two days of arrival, the deposit is immediately non-refundable. 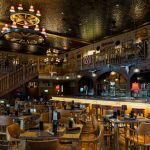 If you cancel your reservation less than two days prior to arrival, your deposit will be forfeited. Please call us if canceling a reservation within five days of arrival. Cancellation requests beyond six days may be done via e-mail. At this time, only reservations that were originally booked online may be modified or canceled online. Please note that refunds will not be issued for cancellations due to inclement weather.